Boots is one of the oldest and most trusted brands on the British high street and its roots have been firmly based in Nottingham for over 160 years. It began as a local herbalist store and rapidly grew into the country’s largest chemists’ chain. By revolutionising people’s access to affordable medicines, Boots became a household name, securing a prominent and enduring position amongst our national retail heritage. Today, Boots retains a special place in the community life of Nottingham, both as a major employer and through its long tradition of charitable giving. 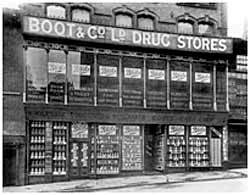 The origins of Boots date back to 1849 when John Boot opened the first herbalist store in Nottingham. John had been an agricultural worker from Radcliffe on Trent, who was forced, due to ill health, to establish himself in a new trade. John had learnt from his mother, Sarah, the rudiments of ‘medical botany’. As an ardent Methodist, the ability to offer the needy affordable healthcare remedies appealed to him. John opened his shop at 6 Goose Gate, Hockley, which was close to the family home on Woolpack Lane, and in one of the poorest districts of Nottingham. He offered homemade herbal remedies and provided consultations three days a week. Unfortunately John’s health deteriorated and he died aged 45 in 1860, leaving his wife Mary and two small children, Jesse and Jane. Mary, with the help of friends kept the business going. Her son Jesse helped whenever he could, often accompanying her to gather plants from the countryside. Jesse left school at 13 to help his mother full time in the shop. As he grew up, Jesse increasingly began to take control of the management of the store. He was rewarded with a partnership in the business at the age of 21 and the store changed its name to M and J Boot. By the late 19th Century, the interest in patent medicines was increasing, largely due to widespread advertising. Jesse knew that most of his customers would be unable to afford these remedies as the prices demanded for them were extremely high. 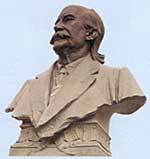 Driven by this social injustice, Jesse took up the mantle of “Trade Reformer” and created a new system of healthcare. His methods were simple; he bought in bulk, paid in cash and reduced his profit margins. This way he was able to cut out the middle man and offer his customers medicines at affordable prices. He modestly reflected years later “There was nothing at all remarkable about my methods. They were simply the application of common sense.” Outraged at the unnecessarily high prices chemist stores were charging Jesse “ thought the public would welcome new chemists’ shops in which a greater and better variety of pharmaceutical articles could be obtained at cheaper prices.” Confident of his new enterprise, Jesse launched an advertising campaign in 1877 which promoted his bargain prices widely. 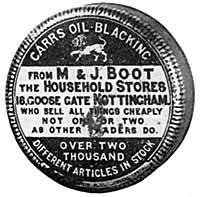 Within months of the campaign, Boots had become the largest seller of patent medicines in Nottingham and his “Health for a Shilling” promise firmly established the Boots name. 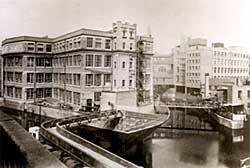 In 1881, fuelled by his early success, Jesse leased a larger property further up Goose Gate and closer to the town centre. He spent months redesigning the store to create an impressive and imposing new shop. The frontage of the first two floors was fitted with large sheets of glass, divided by twisted iron columns. Jesse used this space to great effect, either filling it with merchandise or creating theatrical events by employing men to wrap and weigh items such as soap in the window. Despite its popularity Boots was still regarded by some as a ‘cut price’ store and Jesse was forced to adopt guarantees such as offering £10 to anyone unhappy with the quality of the goods purchased. In the 1880s Jesse took advantage of a change in the law to appoint his first pharmacist and to open a dispensary at the Goose Gate store. The first pharmacist, Edwin Waring brought professional prestige to Boots and true to Jesse’s promise of reduced price medicines, prescriptions were dispensed at half the usual price. The success of the Goose Gate dispensary encouraged Jesse to try to duplicate his offering elsewhere. The first shops to open outside of Nottingham were in Lincoln and Sheffield. In 1891 Jesse acquired a site on Pelham Street in Nottingham and built an impressive new style of store which became a model for future Boots stores. Beautifully fitted with elegant furnishings, the Pelham Street shop looked more like a department store, which over time would house a range of products and services from silverware and artists goods to a library and a café. Boots was developing at an incredible pace and the demands this placed on Jesse, proved too great for his health. Close to selling the business, his sister Jane persuaded him to take a holiday in Jersey in 1885. It was during this holiday that Jesse met Florence Rowe, the daughter of a stationer and book seller in Jersey. They were married the following year. Florence had a tremendous influence on the direction of the business and on the development of welfare initiatives for their employees. As their business grew, Jesse and Florence became interested in the welfare of their growing workforce. Eager to create a family atmosphere within the business, social outings were one of the first initiatives to be introduced. These were soon followed by sports and social facilities, factory surgeries and even a school to provide continuing education for their youngest employees. By 1900 Jesse had built up a network of nearly 200 stores across the country. In order to stock these stores, Jesse expanded his manufacturing capacity. The three small cottages he acquired for this purpose at the back of the Goose Gate store soon proved insufficient and by 1885 Jesse had leased three rooms in a factory on Island Street. Within seven years, Boots had taken over the entire factory. Keen to bolster their reputation for quality products, Boots pioneered the use of analytical chemistry for quality control purposes. The first Analyst was appointed in 1895 and he was responsible for examining all products sold in Boots. A Fine Chemicals Department was established in 1915 which marked the start of the manufacture of pharmaceuticals. Within just a few years Boots had become one of just four companies to be approved by the British Medical Research Council to manufacture Insulin. By the 1920s Boots were creating their own patented drugs. Jesse Boot relinquished control of the business in 1920 when he sold it to the United Drug Company, a large American pharmaceutical company. Jesse’s son John became Chairman of Boots and continued to run the business along similar lines to his parents. Jesse Boot devoted his remaining years to philanthropic pursuits. Enormously proud of his Nottinghamshire roots, Jesse wanted to create enduring gifts for the people of his home town. Both he and Florence donated over 70 acres of land to the city, mostly for public parks, with part of the Highfields Estate used as a new home for University College Nottingham. They also gave sizeable gifts to Nottingham General Hospital and Jesse established his own trust devoted to supporting local causes. Jesse was recognised for his great contribution by being presented with the Freedom of the City of Nottingham and a few years later, in 1929, he became Lord Trent. He died in Jersey a couple of years later in 1931 at the age of 81. John Boot was keen to build on the developments of the business. In the late 1920s he acquired the Beeston site to expand their manufacturing capacity and created modern factories and offices. In 1933 the famous D10 factory opened to nationwide acclaim. It was designed by the engineer Owen Williams and included many modern and innovative features. The factory proved to be so efficient that the company was able to reduce the working week from 5½ days to 5 days with no reduction in pay and set an industry standard. In 1933 Boots opened their 1000th store in Galashiels in Scotland. Florence Boot held a reception at The Savoy Hotel in London to celebrate the momentous occasion. Boots also opened their first store overseas in the 1930s, in New Zealand. The 1930s also saw the introduction of two of the company’s most enduring brands No7 and Soltan. 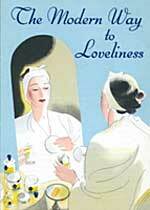 Number Seven was launched in 1935 as a prestigious, but affordable, skincare range; 11 products were originally introduced, with the addition of colour cosmetics a few years later. The first range adopted a striking yellow and blue art deco packaging. Number Seven consultants were introduced to offer expert advice and some of the stores even opened their own Number Seven Beauty Salons. Today No7 is the UK’s leading skincare brand. Soltan was launched in 1939 in response to customers’ requests for a non greasy sun care lotion. Its developments over the years have seen the introduction of the SPF scheme, the first ever SPF 50 product and the world’s first 5 star UVA range. During the Second World War Boots manufacturing was vital to the war effort. The company were producing the newly discovered penicillin on an unprecedented commercial scale in the UK, with the largest surface culture plant in the world. Research continued after the war and in 1950s Dr Stewart Adams began his research which was eventually to lead to the launch of Ibuprofen in 1969. In 1985 Boots received the Queen’s Award for Technological Achievement for their work in this discovery. More recent innovations have come in the shape of Soltan - the world’s first range of 5 star UVA protection sun cream and the overwhelming success of No7’s Protect and Perfect which was independently verified as having proven anti ageing ingredients. 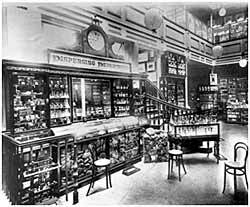 Developments were also taking place in store - in the 1950s Boots became Britain’s first chemist to introduce self service for its customers. In the late 1960s, with the acquisition of Timothy Whites and Taylors, store numbers grew by over 600. Expansion in the company’s brand portfolio saw the introduction of now well known names such as 17, Natural Collection and Botanics. Customer services also expanded with the introduction of Optical care and the subsequent formation of Boots Opticians in the 1980s. In the late 1990s the famous Advantage Card was launched, taking reward for customer loyalty onto a new level. Over its 160-year history, Boots has pioneered the creation of affordable, reliable products, designed to make people look and feel good. Its emphasis on customer care has helped to make it one of the most trusted brands on the high street. Boots UK is now part of Alliance Boots - an international pharmacy-led health and beauty group. Its current values of trust, service, simplicity, partnership and entrepreneurship reflect the very foundations on which the Boots brand was built.